Thanksgiving is almost a week away! ….What?! Where has the time gone?! I know it’s cliche to say, but it’s so true. Whenever a holiday comes up, I dedicate extra time to Pinterest/blog stalking for festive recipes. Does anyone else think it’s weird that we associate specific foods and flavors with certain holidays? Like, who decided that? I mean, don’t get me wrong – I love it! I’ve only posted 8,000 pumpkin recipes this fall. Nonetheless, I still think it’s interesting. Thanksgiving is definitely one of my favorite holidays. How could it not be? It’s all about food, and we all know there’s nothing I love more than EATING. For the first year ever, I’m not going to my family’s big, crazy Thanksgiving dinner. Holidays in my family are practically out of a movie. Picture a lot of stubborn, loud, opinionated people elbowing each other to be first in line at the dinner buffet. It’s intense. And then there’s the very loud, long, passionate dinner conversation, usually followed by a very serious game of Catchphrase. Let’s just say things have been thrown. I have so many beloved memories, but this year I’ll be going to a friend’s house to have a smaller Thanksgiving with her family. I might have invited myself. Whoops. But I’m a good guest…. I bring healthy dessert! Since I’m not going to my family’s Thanksgiving dinner, I won’t be cooking any extravagant dishes that day. (I am, however, cooking A LOT this weekend for Friendsgiving…so stay tuned!) But I can still look at recipes and dream of what I would make, right? 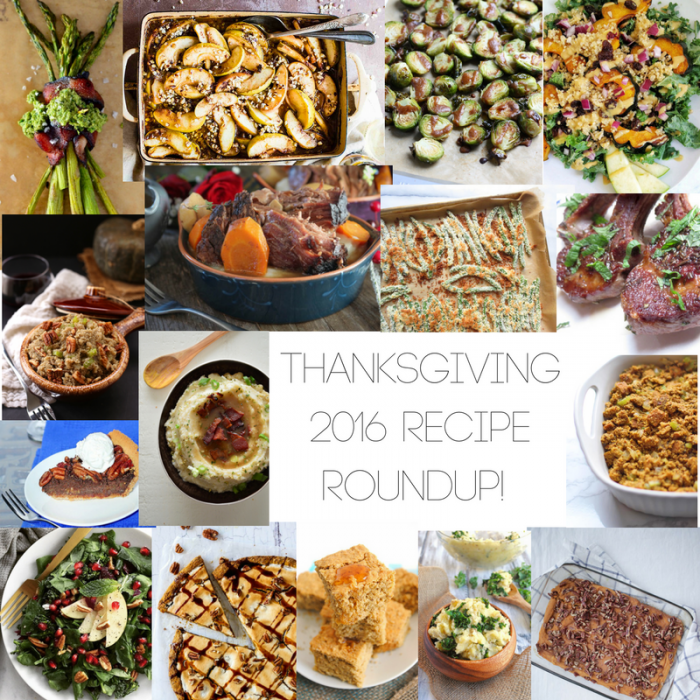 In case you’re still unsure of what to cook on the big day, I thought I’d round up some of the most scrumptious recipes I could find so you would have plenty of healthy, delicious Turkey Day options! Everything on this list is gluten-free. Most of it is Paleo, or can be adapted to be Paleo, and a lot of it is vegan (besides the meat section). I tried to cover all of the “classic” Thanksgiving foods. Obviously, those will be different for everyone, but these are what come to mind for me: turkey, mashed potatoes, stuffing, fall salad, cranberry sauce, lots of veggies, pumpkin pie. NOM. I have to include the classic – turkey. There is NOTHING I adore more than a huge, perfectly roasted, tender chunk of turkey. That dark meat, though. It gets me every time. I feel like roasting a turkey can be tricky for a lot of people, so if you’re nervous, go with the crockpot! It’s so easy, and it will save you oven space. 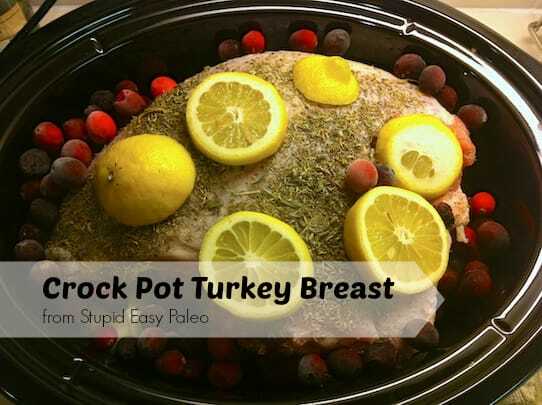 I love this Crock-Pot Turkey from Stupid Easy Paleo. It’s so simple, and it tastes like a dream. If you’re not into turkey, then how about pot roast? Feels Thanksgiving-y to me, although I’m not totally sure why. 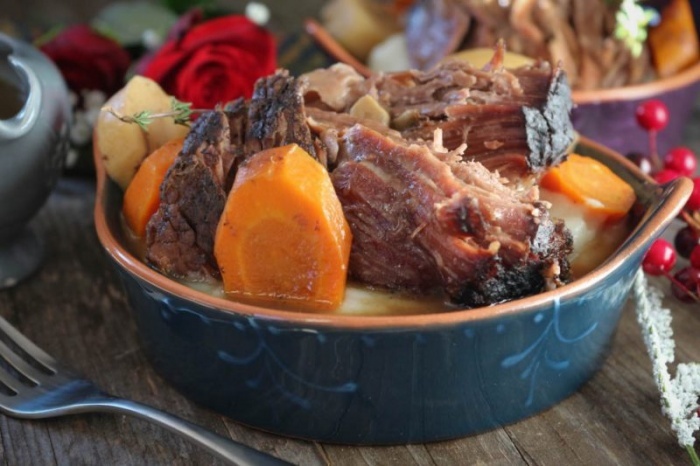 This Slow Cooker Pot Roast with Gravy from PaleOMG is the BOMB. Super easy, too! And that gravy…you’ll love it. Lamb also seems Thanksgiving-appropriate to me. 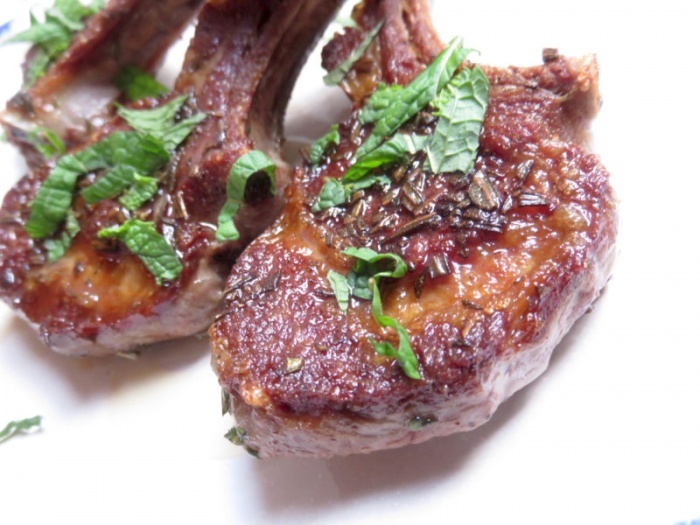 A well-cooked lamb chop is seriously divine. If there’s any day to chow down on some lamb, it’s a holiday dedicated to eating. Can we talk about these Herbed Lamb Chops from The Toasted Pine Nut? I’m literally drooling. 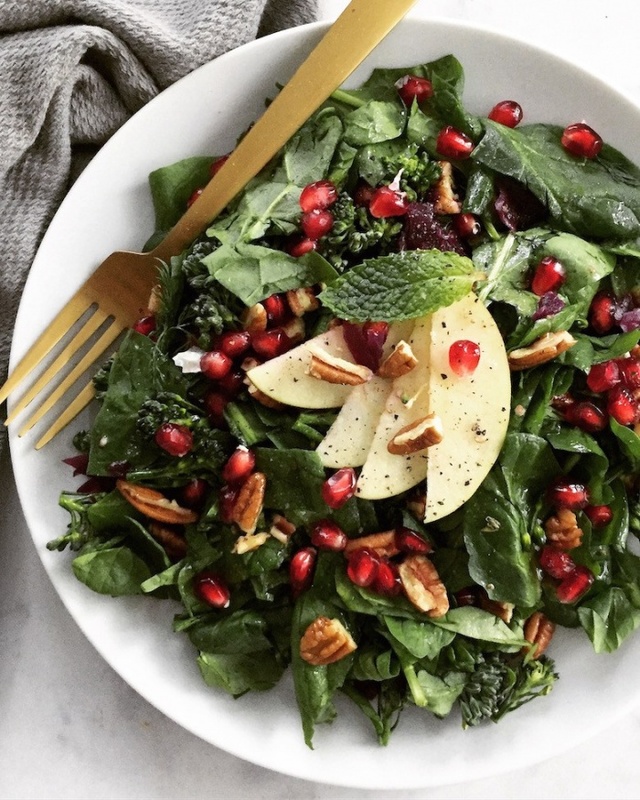 With all of the typical heavy Thanksgiving foods, I think we could all use a nice fall salad to even things out. 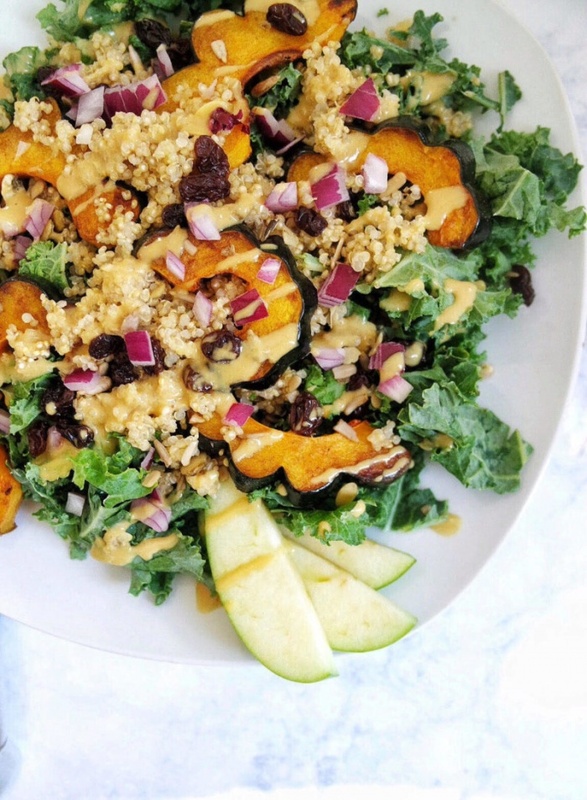 This Roasted Acorn Squash Salad with Maple Cinnamon Vinaigrette from kaleinit.com practically screams Thanksgiving. This is def the kinda salad you bring to Thanksgiving when you wanna impress the fam. Like, yes. I can make a kickass salad. Another salad to knock grandma’s socks off? This Autumn Jewel Salad from Real and Vibrant. This is super seasonal, light, fresh, and yummmmylicious! You honestly can’t go wrong. I honestly don’t even like cranberry sauce, but for some reason on Thanksgiving I magically do. Maybe I just like the tradition. 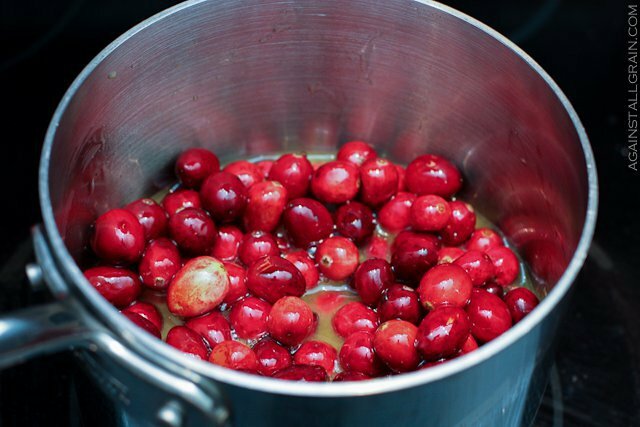 Why are cranberries such a Thanksgiving thing?! Anyways, I adore this Paleo Cranberry Sauce from Against All Grain. Most cranberry sauces are filled with unnecessary sugars and extra bleh ingredients, but this one is Christina approved. So yummy! I’ve honestly never really been a stuffing person, but that was because I always ate traditional stuffing. NO MORE. 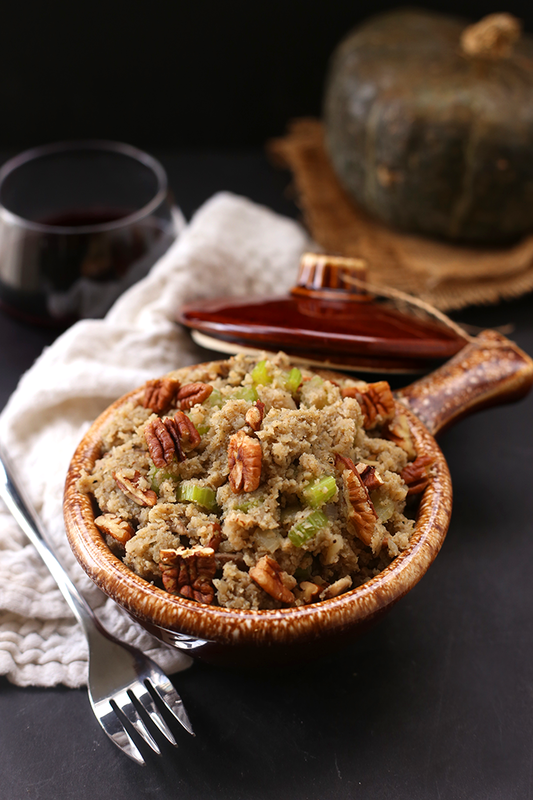 These healthified stuffing recipes are total game changers. 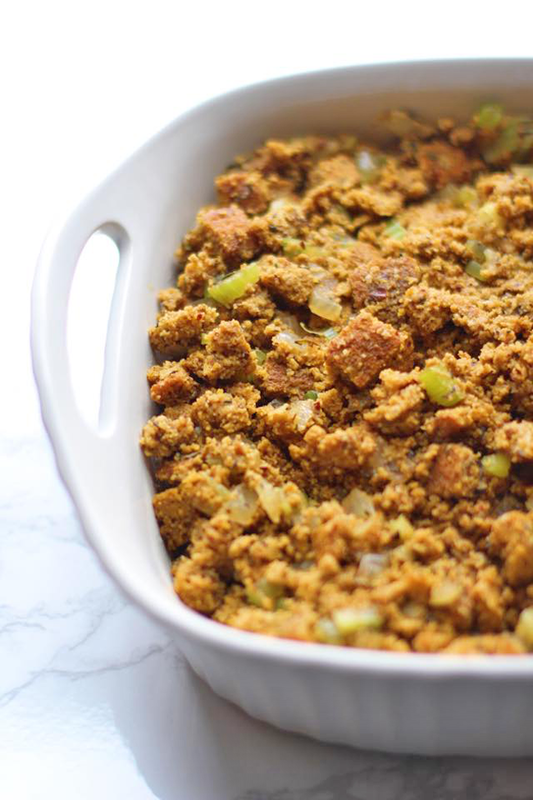 If you want something lighter and even sneakier, then I’d highly suggest this Cauliflower Rice Stuffing from The Healthy Maven. Cauliflower rice stuffing. Needs to be repeated. Davida is literally a genius. I bet no one will even know this is cauliflower. 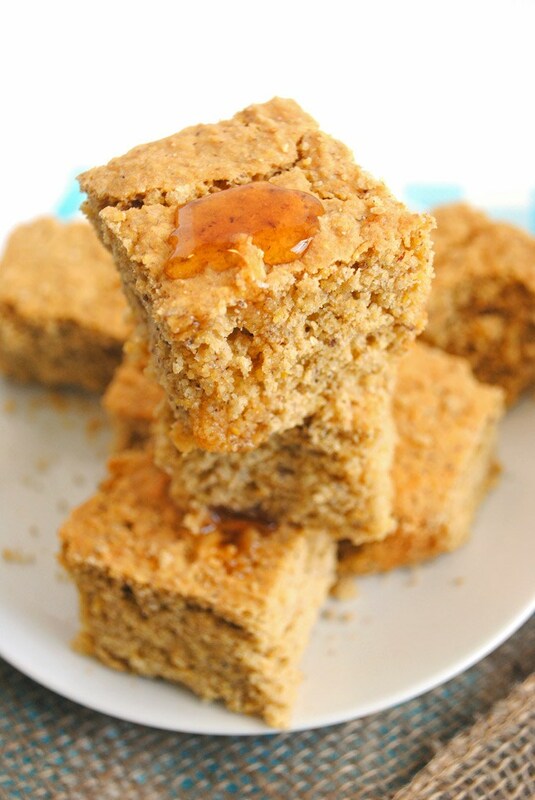 Cornbread is one of those things I randomly crave whenever I’m around someone older than 65. Just me? Anyways, there is a way to make it healthy. 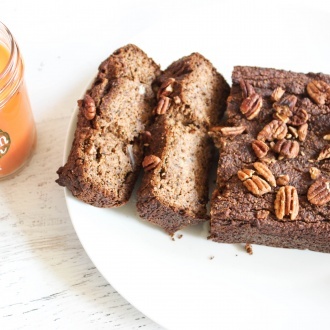 Check out this Gluten-Free and Vegan Healthy Cornbread from Emilie Eats. Told you you don’t have to give anything up when you follow a healthy diet! Potatoes are such a Thanksgiving thing. Mashed potatoes with gravy? Classic. Sweet potato casserole? New kid on the block with the cool moves. Back to the mashed potatoes with gravy thing. It CAN be done in a healthy way. 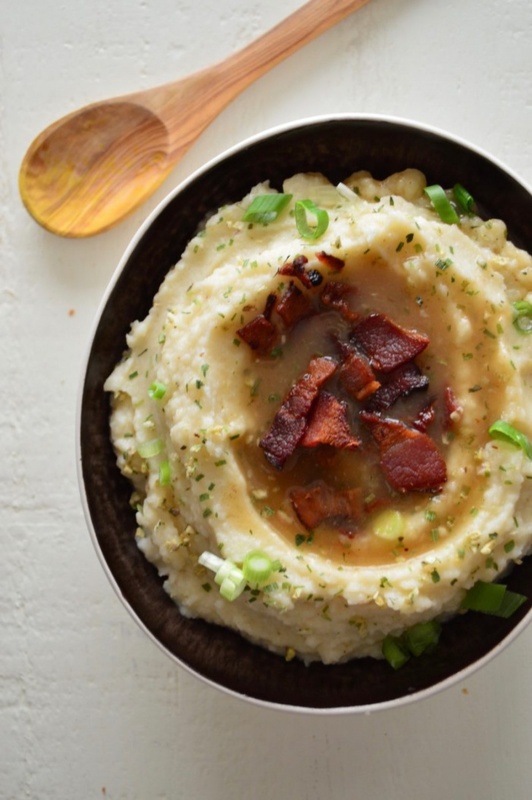 Check out this recipe for Caramelized Shallot & Bacon Gravy with Creamy Whipped Cauliflower and Parsnips from Real Food with Dana. I AM DROOLING. When I saw this on Dana’s Instagram feed, I almost passed out. Make it. 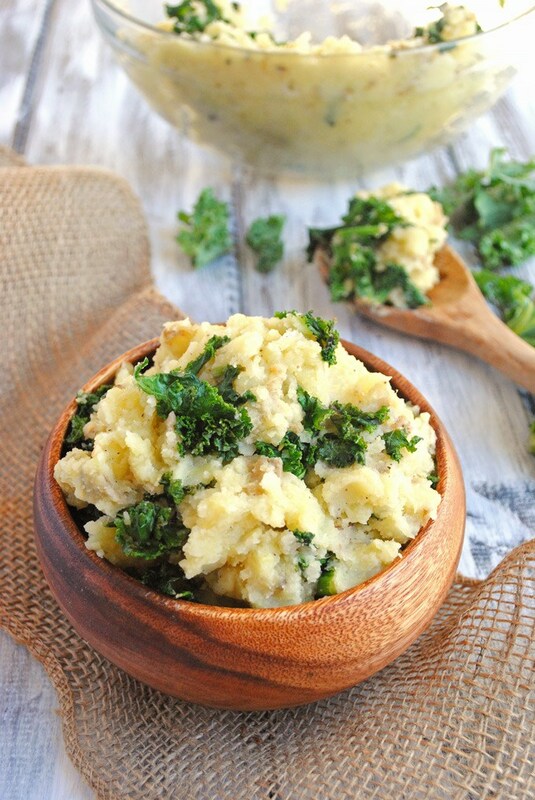 If you want actual potatoes, go for these Vegan Mashed Potatoes with Garlicky Kale from Emilie Eats. 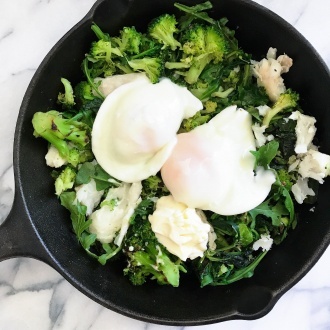 Definite crowd-pleaser, and the garlicky kale gives a fun new twist on an old classic, don’t ya think?! 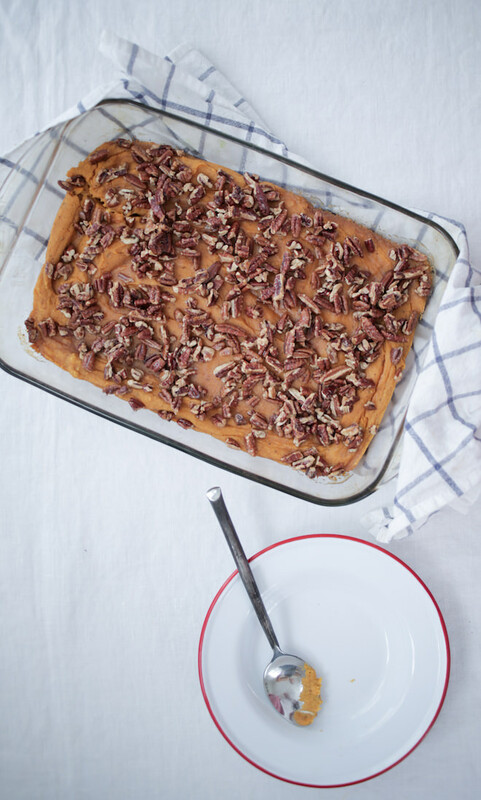 If you’re a sweet potato lover like myself, you’ll literally die for this Healthy Sweet Potato Casserole from Nutrition Stripped. It’s basically like eating dessert, but not. Healthy food is so delicious, I can hardly take it. Some fancified veggies are a MUST at Thanksgiving. I’ve said it before and I’ll say it again – if you don’t like vegetables, you’re making them wrong! There are so many possibilities. You just gotta add the right ingredients! First of all, you need some brussels. They are my FAVORITE. 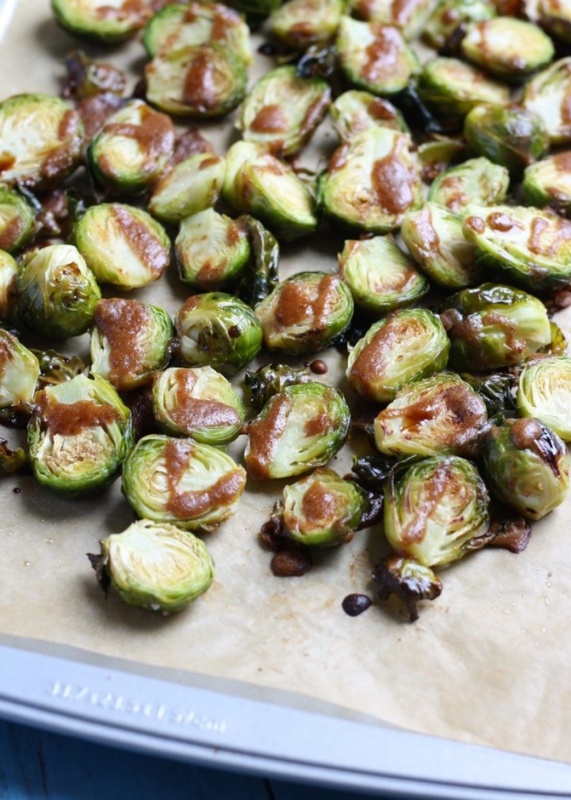 I looooove this recipe for Roasted Brussels Sprouts with Balsamic Almond Dressing from Fit Mitten Kitchen. It’s super simple, but has SO MUCH FLAVOR. Vegetables, or candy? Could’ve fooled me. Green beans are another Thanksgiving must-have in my eyes. I’ll be honest, though, I’m really not into plain green beans. So boring. 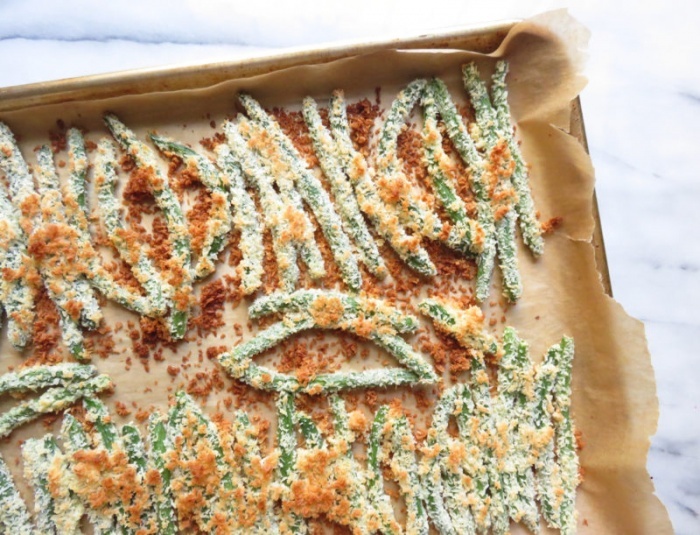 Enter: Coconut Crusted Green Beans and Cashew Dip from The Toasted Pine Nut. It sounds much more complicated than it is, I promise. These are magical, and they’ll change the way you feel about green beans forever. Roasted carrots are my everything. And they’re orange, so that means they’re Thanksgiving-y, right? 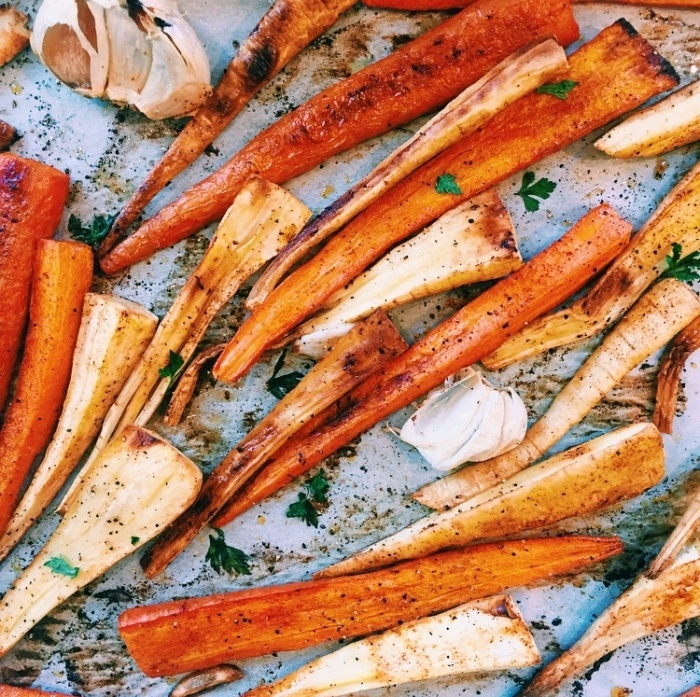 Dying over this recipe for Roasted Carrots and Parsnips with a Tahini Dressing from Balance with B. Incredibly simple, but so delicious. Last, but not least, gotta have asparagus. And bacon. Asparagus WRAPPED in bacon?! I die. 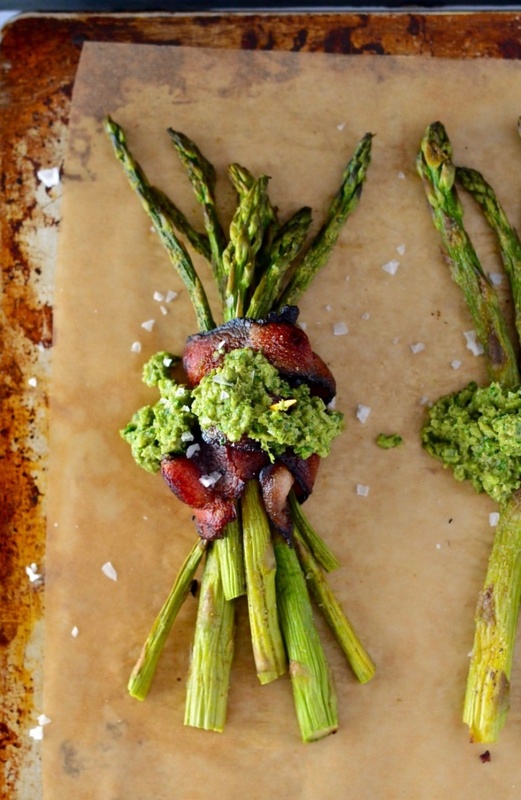 Check out this recipe for Bacon Wrapped Asparagus with Garlic Scape Pesto from Real Food with Dana. You can do it with or without the pesto, but either way it’ll seem like you put way more effort into it than you really did. DIVINE. We all know this is by far my favorite part, so I have a lot of suggestions. And yes, dessert can be healthy too! I’m the kinda person who likes to have multiple desserts at Thanksgiving. To start off, there definitely needs to be a pumpkin pie involved. 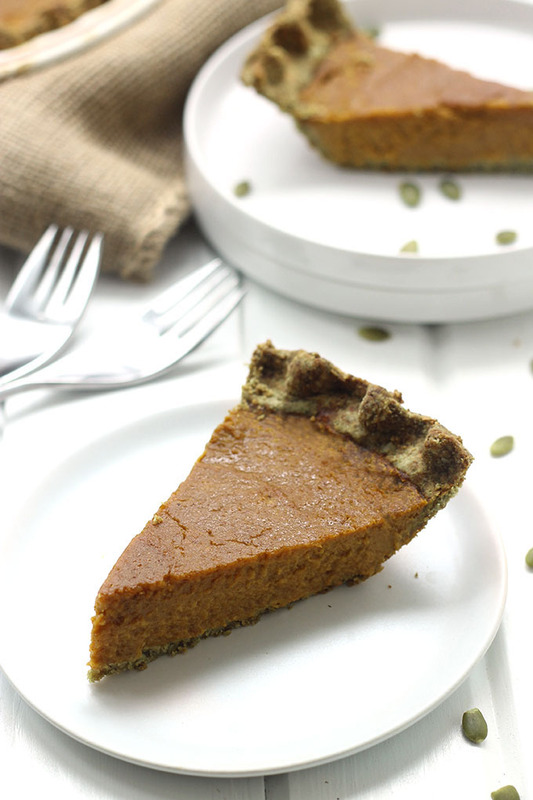 I’m obsessed with this recipe for Paleo Pumpkin Pie in a Pumpkin Seed Crust from The Healthy Maven. Don’t get intimidated by baking! It’s so fun. And this will taste waaaaaay better than any artificial ish you find at the store. 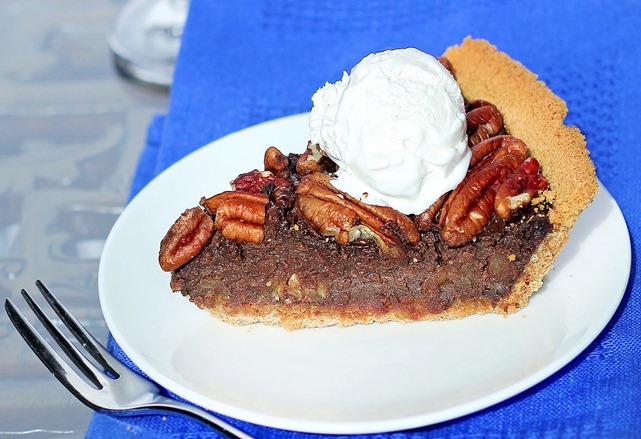 If you’re on the pie train but not into pumpkin, I’d highly suggest this Healthy Chocolate Pecan Pie from Chocolate Covered Katie. I made it last year for Thanksgiving and basically ate the entire thing in twenty minutes. Really wanna impress the fam? 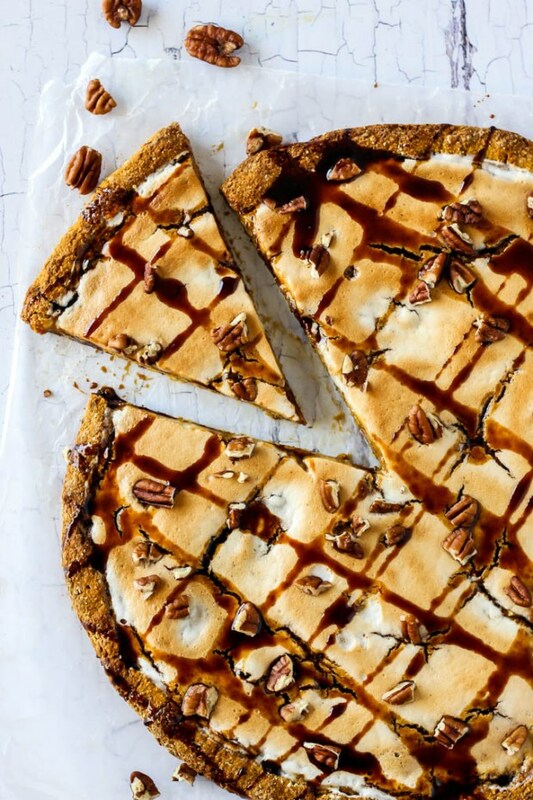 Make this Pumpkin Pie Dessert Pizza from Emilie Eats. It’s killer. Looks super fancy, and it’s beyond scrumptious. I mean, who can turn down a dessert pizza? 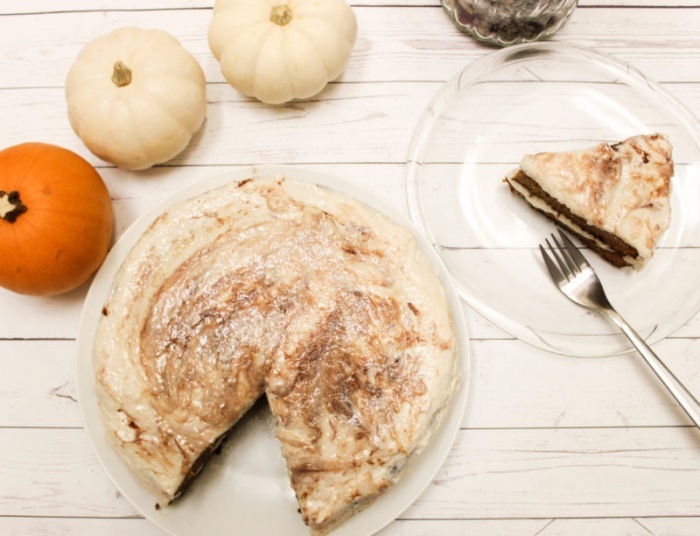 If you want some good ole’ CAKE, you need to try my Pumpkin Spice Cake with Cinnamon “Cream-Cheese” Frosting. It’s a total crowd-pleaser, and looks super impressive. The fam will never know how simple it really was. Want something fruity? 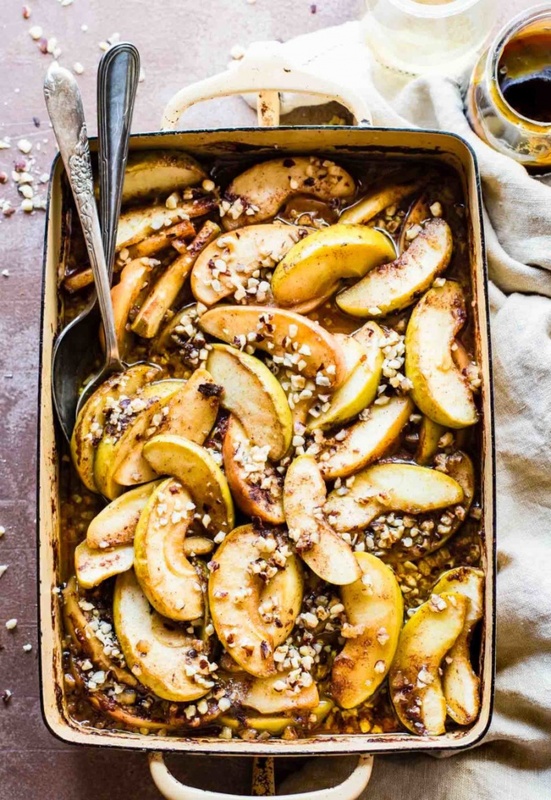 You could go with a classic apple pie, but I’m way more into this Caramelized Apple Cider Hot Fruit Bake from Cotter Crunch. If your stomach didn’t growl just reading that…then I’m not sure what to tell you. Make this. Your house will smell like heaven. If don’t want a warm dessert, then go for some seasonal ice cream! 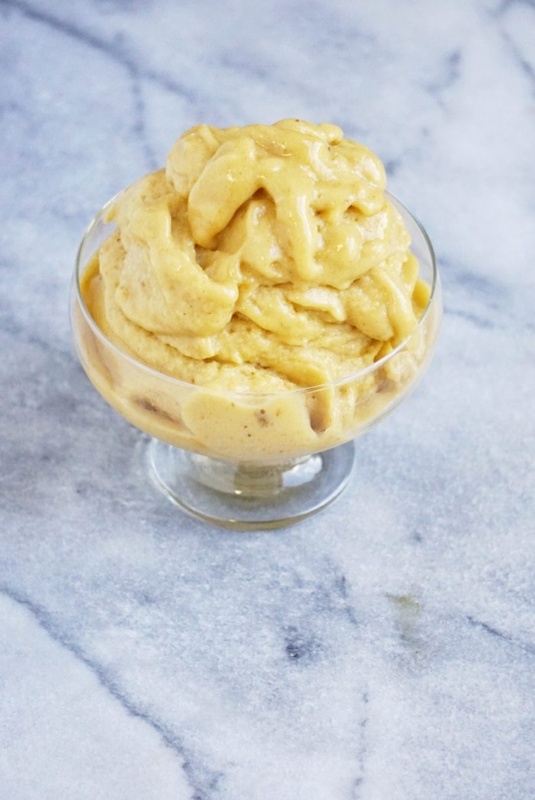 I’m loving this Vegan & Gluten-Free Autumn Pumpkin Spice Ice Cream from Leah’s Plate. 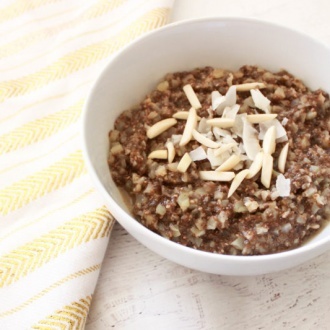 All healthy ingredients, and you don’t even need an ice cream maker! 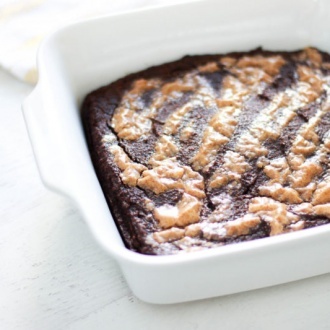 Definitely drizzle this with some almond butter and top it with pecans. Thank me later.